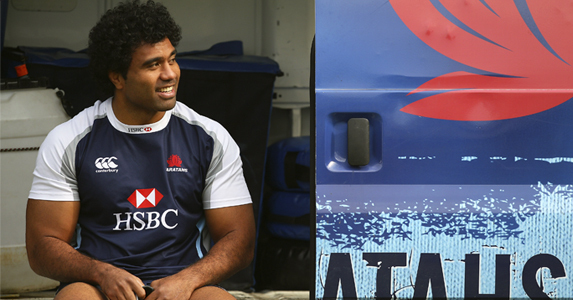 The HSBC Waratahs’ pre-season efforts were given a boost this week with the return to training of heavyweight duo Benn Robinson and Wycliff Palu. With their respective rehabilitation programs progressing well, Robinson from knee surgery that ended his World Cup hopes and Palu from a troublesome hamstring injury that cut short his tournament, the pair are relieved to be back at training. Palu admits to being refreshed by a week spent working with specialists at the Australian Institute of Sport, saying “It feels good to back.” Providing all goes well with his preparation, the No. 8 expects to make a full return to action early in the new year. The pair are utilising a number of functional rehabilitation techniques aimed at progressing their return to full fitness. For Robinson, who is in mid phase Anterior Cruciate Ligament (ACL) rehabilitation, this means making a gradual progression back to running. “Getting weight through my knee and leg is good for me,” said the prop. “It’s been a tough road but things are progressing well. As things come right with my knee I’m getting fitter and stronger. It was tough early on, being in physio every day. “But I’m in a good space now and enjoying being back involved, especially having the younger players around. It’s been a while since I’ve had a quality pre-season, so it’s good to be back. There are a lot of young props around, working hard, and that is pushing me too.